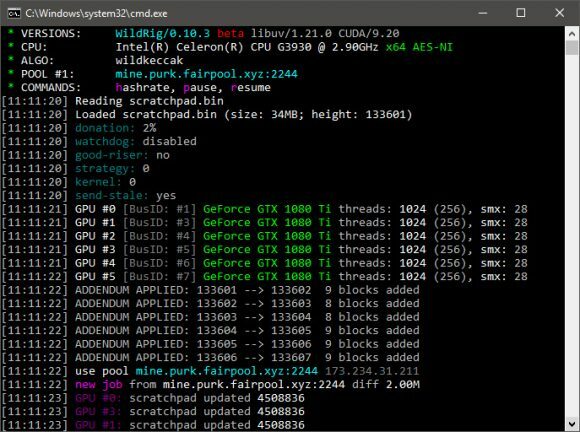 WildRig is a relatively new closed source miner for both AMD OpenCL and Nvidia CUDA GPU miners for the Wild Keccak algorithm used by crypto coins such as Boolberry (BBR) or PURK. 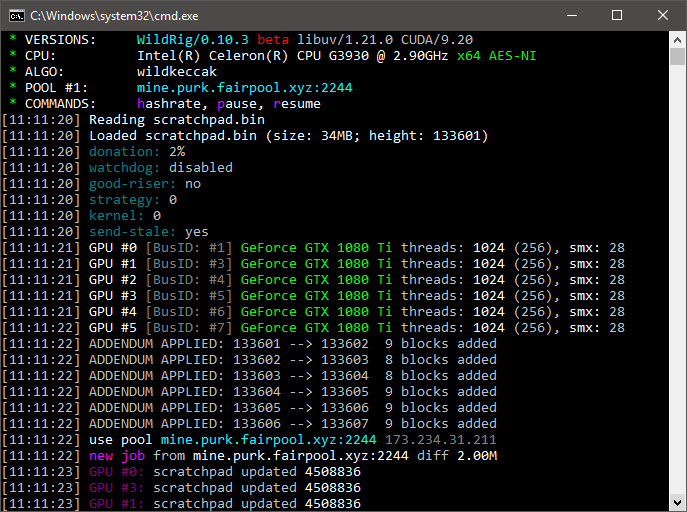 It seems to be performing better on Nvidia hardware compared to ccMiner’s performance for Wild Keccak, though on AMD it may not be faster than other alternative miners available. Do note that since this is a closed source miner it also comes with a 2% developer fee built-in, so that fact can make all the difference depending on your hardware if it is worth using the miner or not. Since it is a specific miner for a specific algorithm it offers some extra features and improvements that may make it more problem-free or useful for mining Wild Keccak, though there are not much coins out there that actually rely on this algorithm unfortunately. There are binaries available for Windows, Linux and Hive OS.